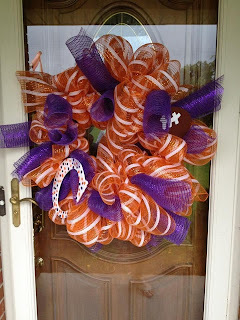 Football season is so close... it's here, it's here! 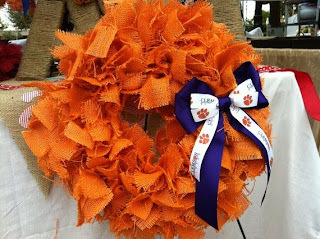 Saturday feels like Christmas and I cannot WAIT until it is here... let's hope Gameday Santa brings us a big win on Saturday! 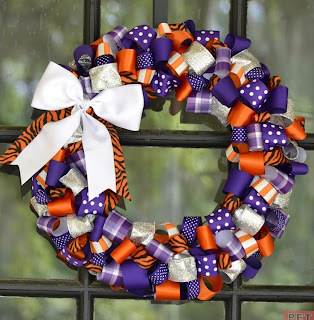 And just like you decorate for Christmas, do you decorate for football season? 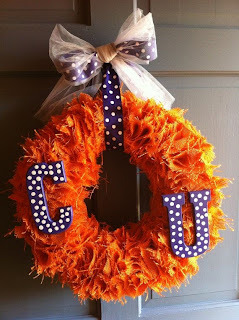 If anything, a Clemson gameday wreath in orange and purple is a MUST for a Clemson Girl. 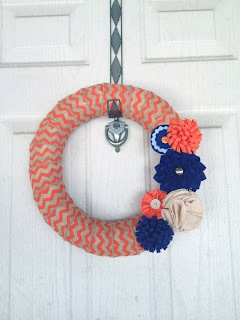 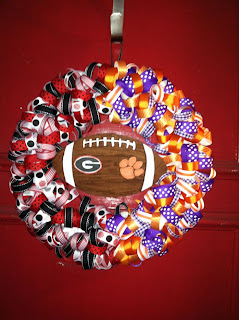 Is your front door adorned with your gameday wreath yet? 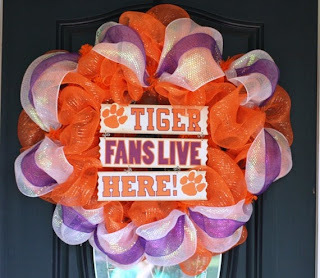 Don't have one? 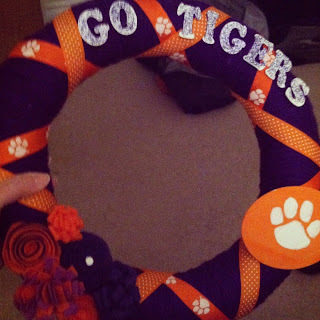 Gameday wreaths are very easy to make on your own. 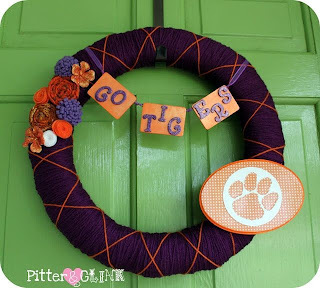 Buy a foam wreath base from Michael's or Hobby Lobby, and wrap with fabric scraps, yarn, or ribbon - then add a tiger paw, a sign, some orange flowers -- whatever you'd like! 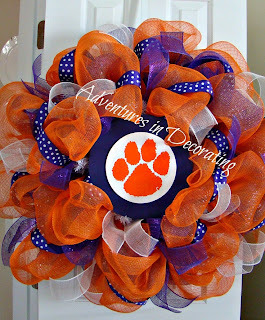 Here are some fun wreaths we found on Pinterest to inspire you...Click the photo to visit the Pin, and ultimately the source. 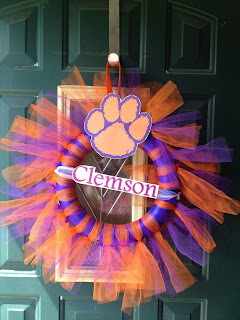 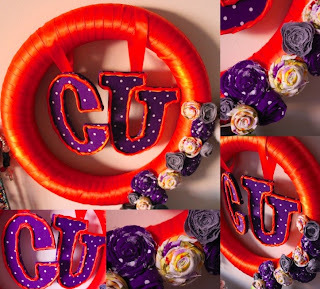 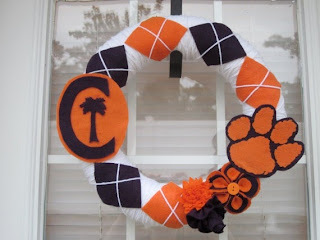 And if you happen to live in a house divided... a Georgia and Clemson house divided, then this wreath is for you.